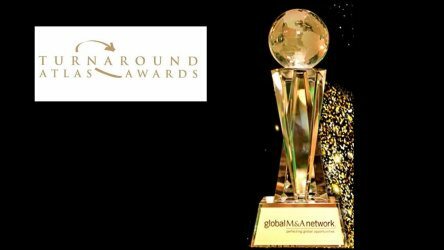 Global M&A Network has announced the winners of the 11th Annual Turnaround Atlas Awards. The case of Francis Drilling Fluids, Ltd., d/b/a FDF Energy Services, in which the firm served as counsel to the Creditors Committee, received the award for Energy Restructuring of the Year, Mid-Market. The award will be presented at a black tie gala on May 9, 2019, at the Metropolitan Club in New York. The awards list can be viewed here. FDF, an energy services provider, was negatively affected by the sustained downturn in the oil and gas industry. It entered Chapter 11 in the U.S. Bankruptcy Court for the Southern District of Texas, Houston Division, to effectuate the sale of the business, selling substantially all of its assets in December 2018. Working on behalf of the committee, Gold Weems obtained the elimination of all preference liability for unsecured trade creditors, where the trade creditors would have otherwise had to pay to settle claims, and those proceeds would largely have been allocated to secured creditors on their deficiency claims. The firm also obtained payment for administrative trade claims, inclusive of claims related to goods provided within 20 days prior to the bankruptcy filing.